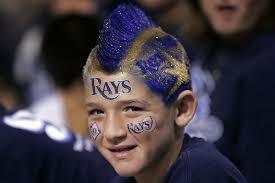 I get upset every time I read something about sports fans in the Tampa Bay area being “bandwagon fans”. Such article never take into consideration only 35 percent of fans in the state of Florida were actually born here. Florida is currently grouped with 4 other states that have between 24.3 and 44.5 of their population born in their state. Wyoming, New Mexico, Nevada and Colorado are the only other states in that group, and only Colorado has a M L B franchise. But none of these articles or bash blogs take into account that since the 1980’s the number grew from the mid 20’s to 35 percent at the time of the 2010 U. S. Census. 15% increase may not seem to be a lot to most, but to us natives, it is more and more people who share in this region as their birthplace and should establish local sports alliances as we grow older. But the local teams also have to embrace this fact that less than 40 percent of their fan base is locally born and take measures to ensure these fans attach themselves to their local teams before family long-time allegiance plays havoc and they lose a fan based on their parent’s sports loyalties. Only 10 states of 1/5th of our Nation have seen over 70 percent of their population born in their state. M L B stronghold states like Pennsylvania, Ohio, Wisconsin and Michigan are within that top tier native-born group that also include Iowa, Louisiana, Mississippi, Alabama, West Virginia, Kentucky. If you look at the 2014 M L B attendance numbers, Detroit, Milwaukee, Cincinnati, Philadelphia and Pittsburgh were in the Top 15 for this past season. Each of these states double the native population of the southernmost state in our country. Just for giggles, let’s double the Rays 2014 attendance figures and see where they might have ranked in the overall 2014 if our Sunshine State had at least 70 percent of our residents born here. 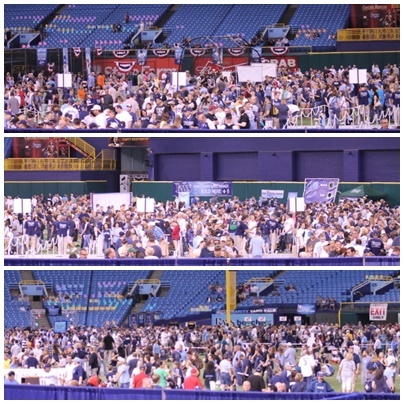 The Rays had 1,446,464 fans cross their gates in 2014. Multiply that by 2 and we get 2,892,928 fans which would have vaulted them up to the 7th spot just above the Milwaukee Brewers who drew 2,797,384 through their turnstiles in 2014. Now I’m only using this as an example, if the Rays grew their attendance numbers 1.5 times in 2014, the Rays ( 2,169,696 ) would of cracked the M L B’s top 20 instead of being in 29th in attendance this season. 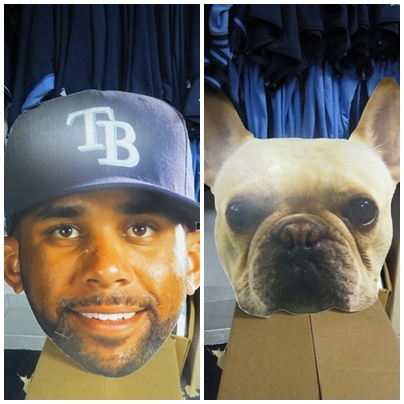 Now it might start to make some sense to the Rays Republic who have been arguing over the past several seasons that the Rays fan group under 14 get the best giveaways from the team. Combine that with the fact those collectibles mostly happen during promotional days like Family Fun Days and you get a nice uptick in attendance, plus hopefully gather more loyalty and future franchise admiration for their hometown team. 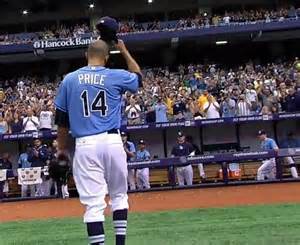 That is why the Rays roll out the carpet for the younger generation, they will be the ticket buyers who takes the Rays back to 2 million plus fans through the gates. It is not the older crowd like myself who might be loyal fans, but with our age comes some limitations both physically and economically hamper us from attending as we have in the past. 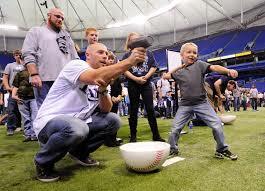 That is why the kids get the great Evan Longoria drum sets, the Summer Camps and the opportunity on Sunday home games to get the autographs of Rays players. 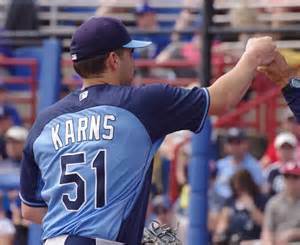 It is a subtle but insightful way for the Rays to embrace their young fans who will turn into adult fans and then hopefully stay in the region and produce another generation of Rays fans. Who knows, by the time we get to the 2020 U.S. Census the Florida native number might rise to 45 percent which would put Florida on the lower end of the next level of native children currently being born in M L B states which includes Georgia, Washington, Maryland and California. Teams like the Yankees, Boston Red Sox and even the Baltimore Orioles have over 100 years or at least 3 generations of native fans who grew up and adopted their teams based on their locality. 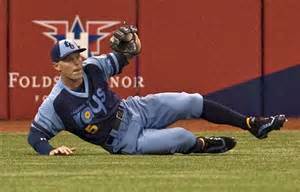 Tampa Bay has not even been in the M L B 20 years are surely does have a transient fans who still have or pull out their home town jerseys when their old team comes to Tropicana Field. 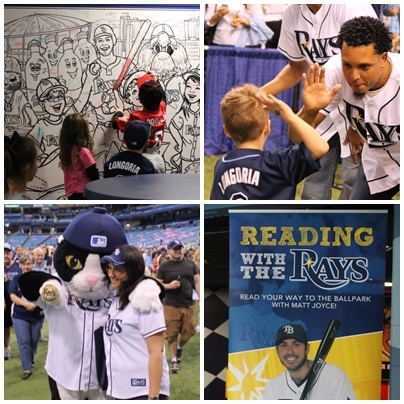 My only hope is that the younger Rays fan who enjoy these great promotions and events stay within the Rays fold and help establish a lasting Rays tradition within their future families or relationships. 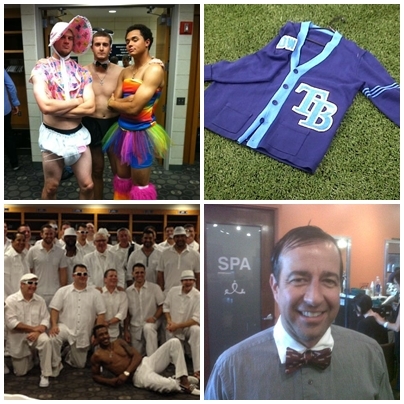 The Rays have planted the seeds for the younger members of our regions to embrace their local teams. 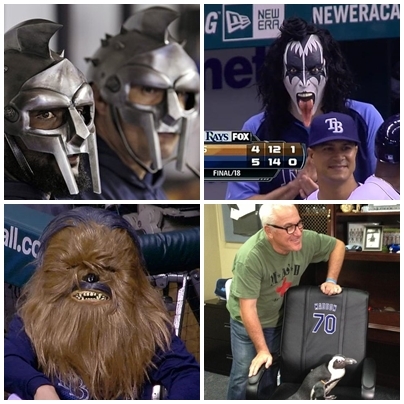 Now we just have to wait until those seeds mature here in Tampa Bay and hopefully we will still have a team to call our own and to introduce to their kids and eventually their grand kids. Baseball may be a business, but sometimes even in business you have to embrace the family approach and hope it expands and makes even the youngest fan want to grow up to be devote Rays fan. If you were wondering, the Colorado Rockies ( 2,680,329 ) ranked 10th in overall M L B attendance this season. The Rockies have been an M L B franchise since 1993 and the 2nd generation of Rockies fans seemed to have embraced the team. 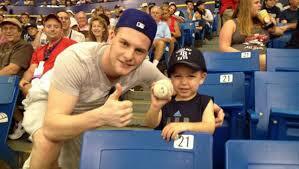 That shows even in Tampa Bay, there is hope as long as the native sons and daughters support their local sports roots. Back in February 2011 if you wanted to get the autograph of a Tampa Bay Rays player you had to purchase a $40 wristband on that day to get unlimited player autographs. 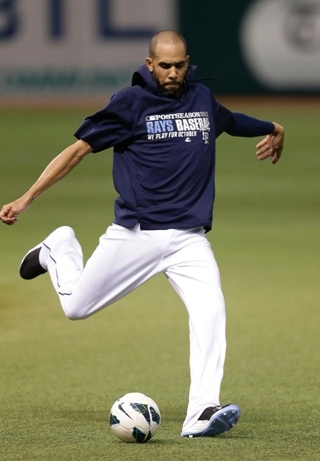 In 2013 that price increased to $50 for most current Rays players and Coaches autographs, and a select few more affluent members of the Rays Republic could purchase their own private autograph packages to have a more intimate private autograph session with some of the Rays star players. 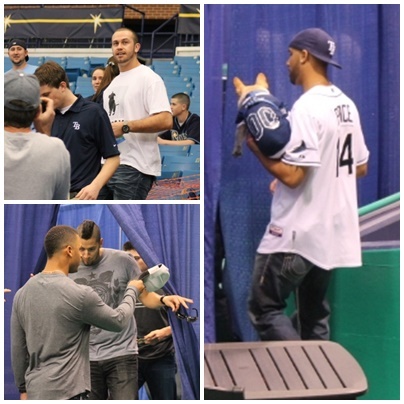 This year if you wanted to secure the signatures of the Rays “Big 3” which included Evan Longoria, David Price and 2013 AL Rookie of the Year Wil Myers, it was going to cost you a bit more than the old 2013 option of an $50 “all-inclusive” wristband for all players available during Fan Fest signing moments. 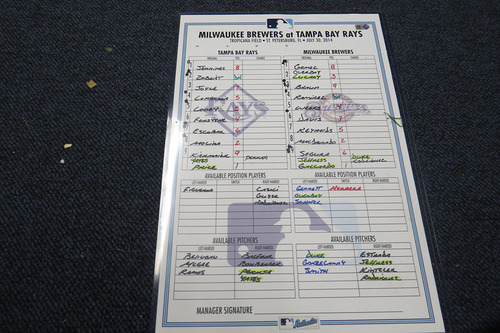 So was really to anyone’s real surprise that the Rays announced recently that during the upcoming 2014 Rays Fan Fest to be held on Saturday, February 22, a new more streamlined and calculated autograph format would be in place. 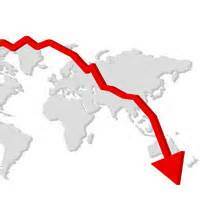 Some have been shocked by the news while others (like myself) have known this type of increase was just over the hill and is in line with other MLB players signing requests at their fan events. 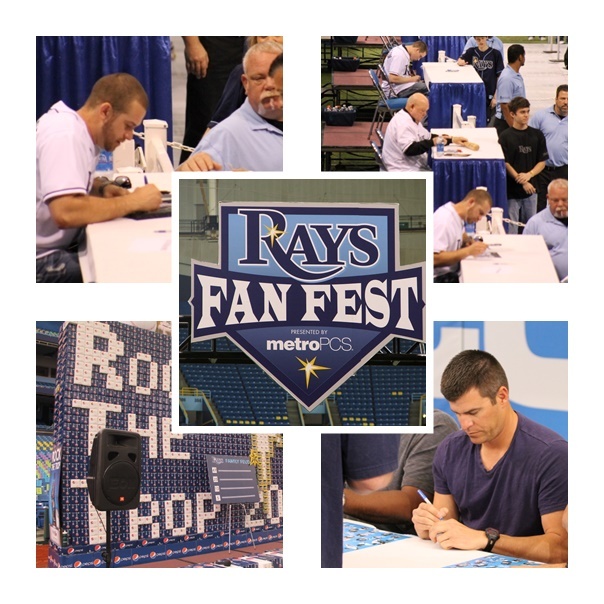 I posted a blog post way back on February 14, 2011 comparing the Rays then request for fans to purchase $40 wristband donation fee for Fan Fest autographs. 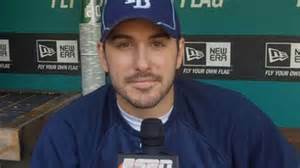 I started out in that essay stating: “More and more I am being assured that we, as Tampa Bay Rays fans have been spoiled by this organization”. And I really feel that sentiment is still true today. 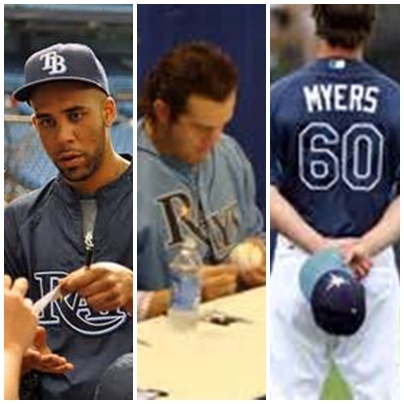 At this year’s Fan Fest, for a $125 donation 60 affluent members of the Rays Republic can pre-purchase a more intimate behind the blue curtain opportunity with one of the trio or play a total of possibly $375 for obtaining all 3 players signatures. Immediately I know a few hands will go up that the pricing in “unheard of” and a bit astronomical, but in reality, it is pretty much in line with what donation amounts are requested by other MLB club for their premier player’s autographs at a fan event. 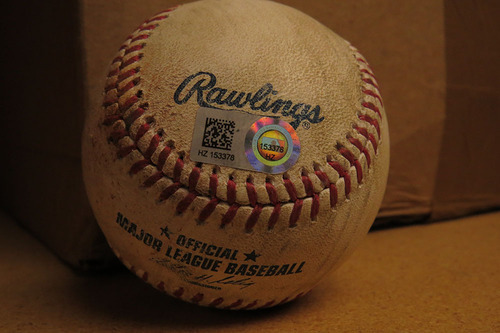 In that 2011 blog I showed you that it cost $175 back then at a Cards fan event to secure a chance at getting then St Louis Cardinals 1B Albert Pujols. At that Cards event, Pujols commanded the most advance donation as the pricing swirled down from the $175 mark to $5 to secure former player Jack Clark’s signature. 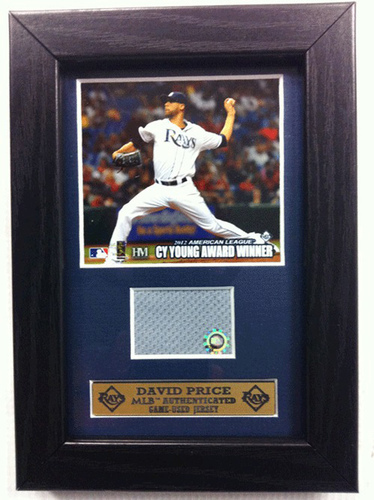 And the Rays autograph donation fees do not start and end at the $125 price point. 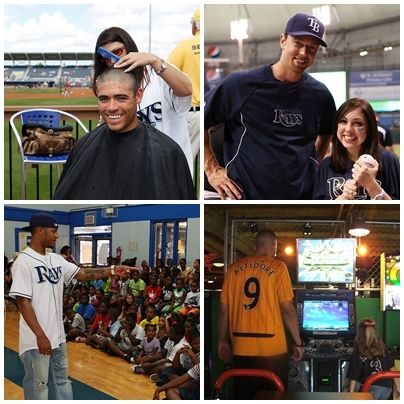 The team will also offer other Rays players who could/should be on the team’s 2014 roster at $25 each and also some additional players who will sign for kids 14 and younger only for no donation fee. 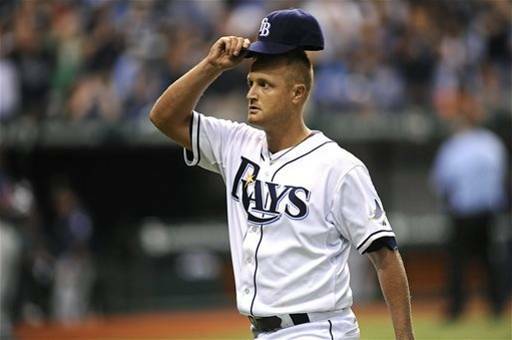 Sure there was an instant shock and awe when I read the Rays autograph proposal, but the common denominator here for me is all money collected will go to the Rays in-house charity the Rays Baseball Foundation and the ALS Foundation to further support research and developments within the Tampa Bay region. 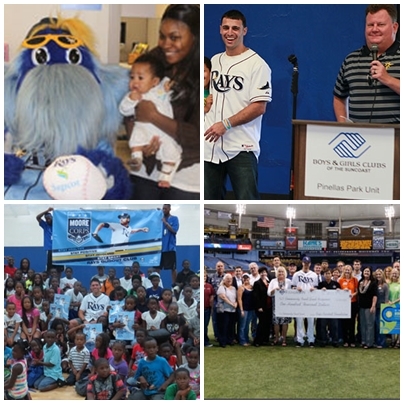 Knowing that the money will all go to help promote and increase the funding for the Rays projects outside of the Trop and secure more than just signatures for the community, the $125 or even $25 each donations do not seem like a huge request. 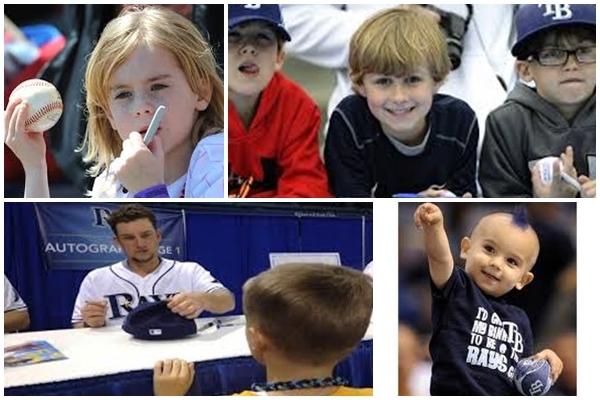 But I know as I wander around Tropicana Field on that day I will see a few tear-filled eyes that they cannot get the autographs of their baseball heroes, or their parents do not have the needed funds to obtain multiple autographs of players within the $25 price range. 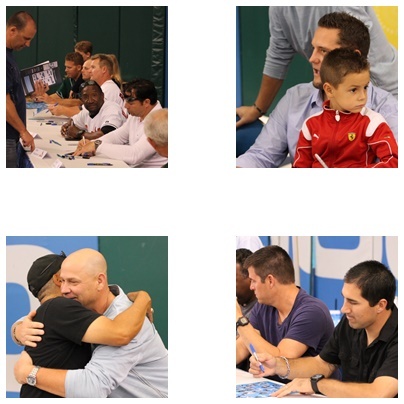 I know more than a few kids will possibly miss out on their own golden opportunity to be within ear range of their Rays heroes this Fan Fest, but I want to remind you that the MLBPA table is always full of former players from the Rays and baseball’s past and receiving their signatures is still free as always. Still internally I’m a bit perplexed because for some fans, Fan Fest is their only viable opportunity to get access to their favorite player for more than a brief eye glance and this change will take that bit of uniqueness of being totally fan friendly away. 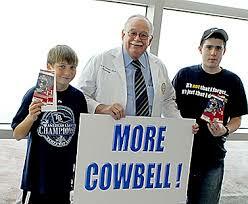 Some fans travel great distances hoping to get this great access to Ray’s players. Sure there will be multiple opportunities for some fans to get a bevy of additional changes to take photos and talk with players throughout the day, but this year’s autograph policy change might just also change a few minds on attending future Fan Fests, or even deaden a bit their Rays loyalty a tad. 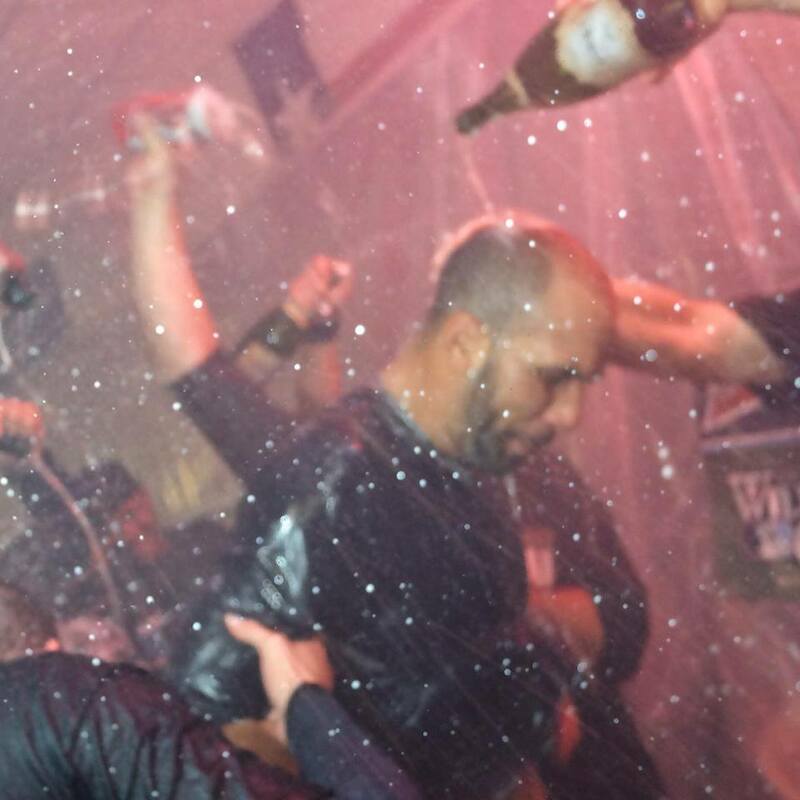 I know the team wants to promote the other activities going on all over the playing field from the kid’s games, to the Pepsi display and Fan Wall of Fame ceremonies plus the Clubhouse tours and interacting with various radio and broadcast people on a more intimate scale. 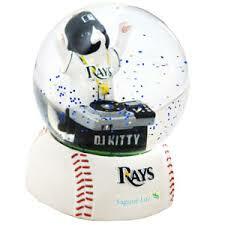 I know the Rays Garage Sale, Reading with the Rays will have huge crowds. But no matter the team’s great intentions, a few tears will ultimately fall. I now call him the “Silent Avenger”. 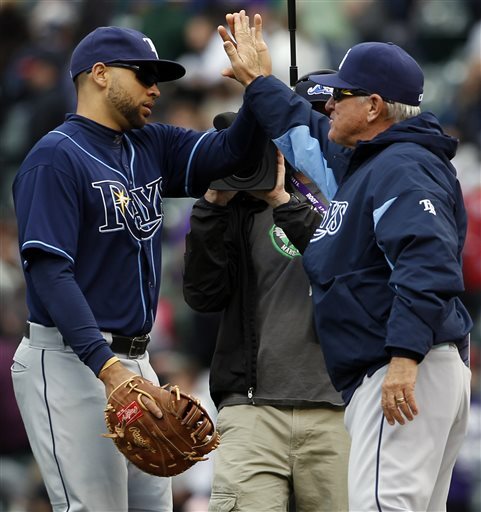 On a Tampa Bay Rays team already filled with persona’s like “Tatman”, “Super Sam” and even “Wolverine”, Rays First Baseman James Loney has been one of those great players who comes out of nowhere and makes this team better immediately. Playing a position that embodies power and defensive responsibility, Loney has become not that iconic 1B that smashes the ball into an oblong shape on its way to the cheap seats, but has become a hitting machine producing needed single and run producing opportunities that also have brought the Rays back to the .500 mark for the first time since April 7th. Sure Loney is not the only reason this team has rebounded from their April funk, but he is one of those shining examples of a player brought in with question marks and wonder as to what role he will ultimately play on this team’s rise towards a post season berth. All Loney has done is be a stopgap defender at the corner who has committed only a solo error in 259 total chances this season. 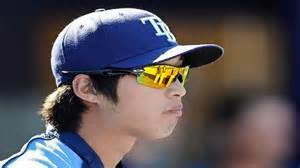 But lost in that vital fact is the number of errors his glove has erased due to his versatility and flexibility at the First Base bag. 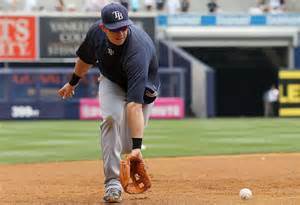 But that is only 1 dimension of the Loney story as he has again found his hitting stroke since coming to the Rays at one point this week reaching the summit of the American League Batting Average pile along side Detroit Tiger Miguel Cabrera. Loney currently heading into Sunday’s contest is 3rd among all MLB players in batting average (.371) behind Cabrera (.376) and Brewers OF Carlos Gomez (.374). He also shares another very vital distinction in the A L with Oakland A’s INF Jed Lowrie of 7 3-hit games this season which all transpired within 11 starts between April 17th and May 5th. Loney has not only shown the potential to produce for the Rays, he is doing it on a club once thought of as weak and full of holes offensively but has been one of those key linchpins to the Rays recent run explosions that has seen them creep from the bottom of the AL Team hitting stats. 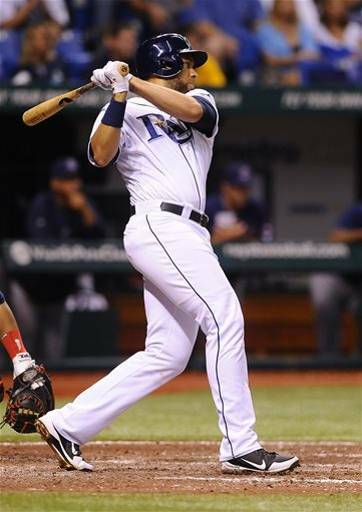 Sure Loney (.959) might not have the Rays top OPS ranking which currently belongs to long-ball artist Evan Longoria (1.009), but he does have 39 hits in his 35 games as well as leading the Rays in doubles (11, tied for 7th in the AL). 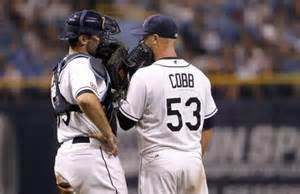 OBP (.426 which is 4th in the AL) and is second to Longo (.609) in Slugging Percentage (.533). Loney has been one of those pleasant surprises on a team that most thought would be hard pressed to produce runs much less victories this season after their horrific April start. 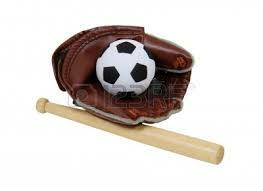 Want to know why the recent hitting surge of Loney is so impressive? 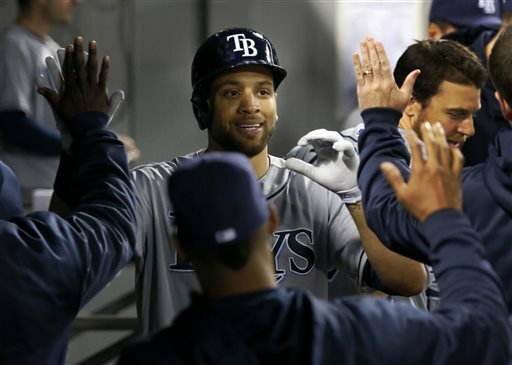 Over his last 23 contests (17 starts) Loney leads the MLB with a .453 average with 2 HR,15 RBI and 9 doubles. But what is extremely impressive is his stat of only 4 strikeouts during this span that saw his average rise to over 200 points from its .167 spot on April 16th. Fangraphs also produced a fun fact that 33% of Loney’s hits this season have been line drives, the highest percentage in the MLB where the MLB average is 20.2 percent. Amazingly enough Loney who is a left-handed hitter has produced a .529 average against Southpaws this season which should bode well for him as the Rays will be facing a lot of left-handed hurlers over the next week. Add on the nice stat of Loney sparking a .424 average with runners in scoring position and you get a player who is helping the team tremendously by slicing and dicing up hitting from both side of the pitching rubber. Loney is also boasting an impressive .337 average against right-handers so far this season. 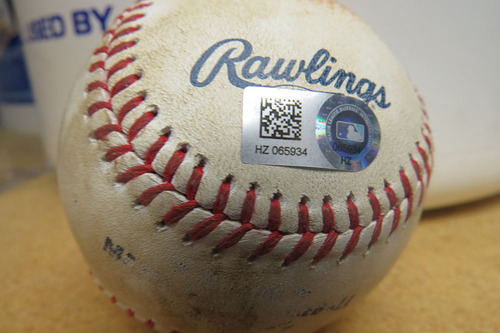 And how rare was that Home Run by Loney last night against the San Diego Padres? 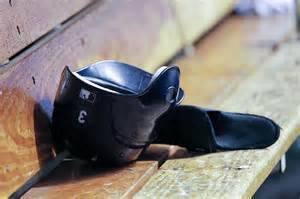 The last time Loney deposited an offering in the his home stadium cheaps seats was September 17, 2011 in Dodger Stadium. Loney has hit 8 HR on the road between those dates. 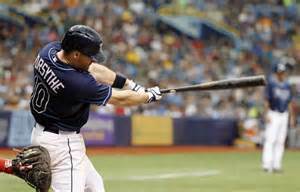 Loney on May 9th also became only the 4th Rays player ever to be on the top tier of the AL in hitting with teammate Matt Joyce last doing it in 2011. 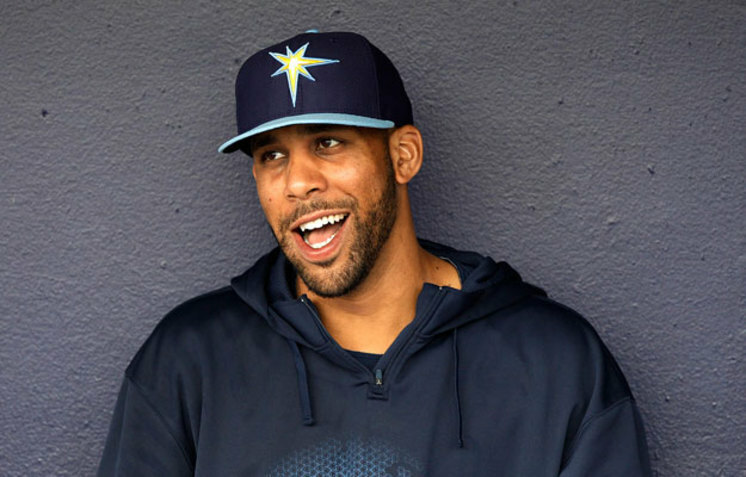 Combine that with the pure fact Loney has produced back-to-back 3-hit performances on multiple occasions this season and you can see how he has transformed into a much needed silent avenger for the Rays. Want one last reason to think Loney is having one of those dream seasons so many seem to have when they pull on a Rays jersey. 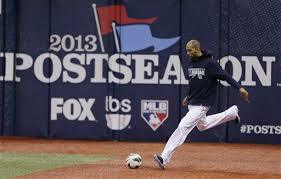 Consider Loney has hit left-handed pitchers at a career .248 average heading into his Rays tenure. 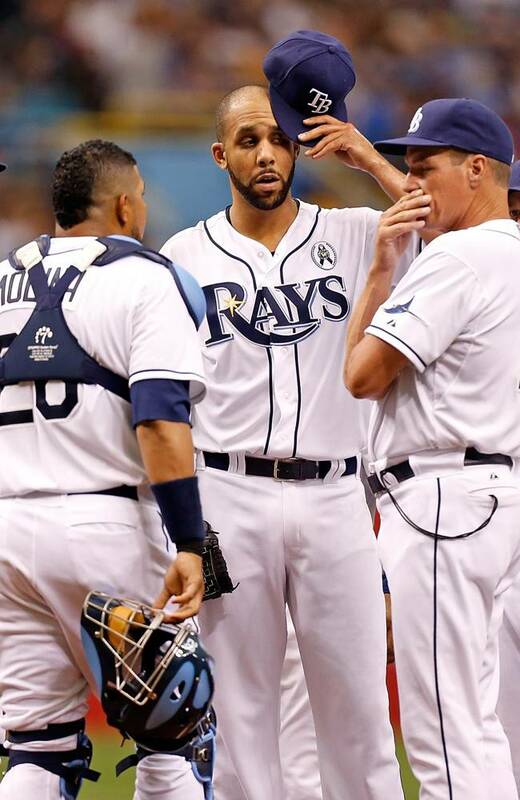 This season after Loney’s impressive outing against southpaw pitching during 3 starts against Toronto (May 6-9th) at the Trop produced a stellar 10-19 (.526) showcase. But the cherry on top of this is the fact during 2013 Loney has only struck out 11 times so far in 116 plate appearances which leads all MLB 1B qualifiers and had a streak of 39 at bats without a whiff this season. 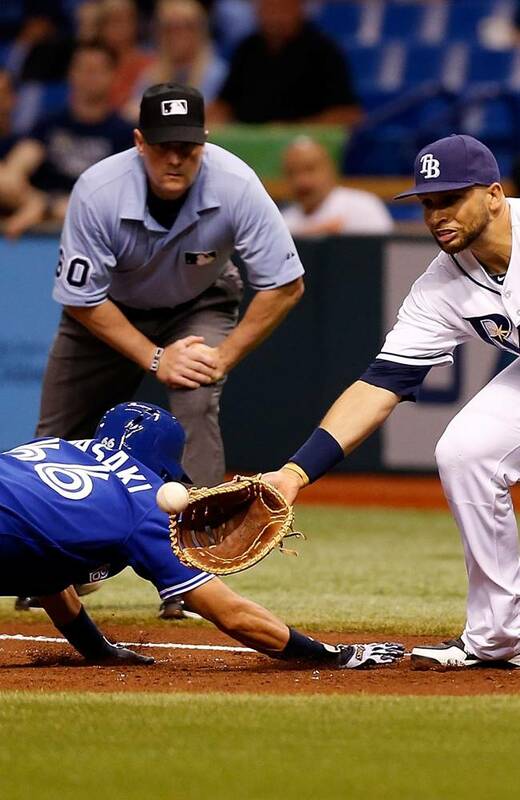 Loney is definitely the silent avenger the Rays needed at First Base and has more than proven his worth. 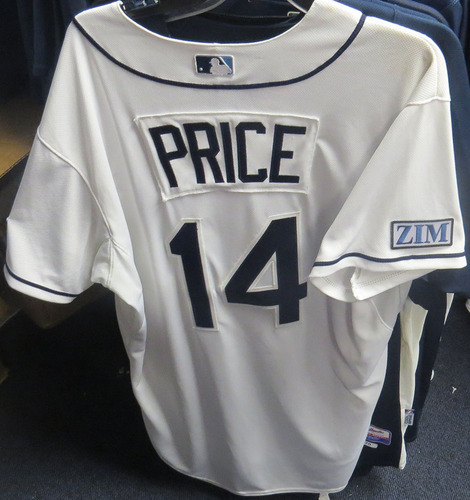 Could the Rise of Moore and Cobb Make Price Late July Trade Bait? 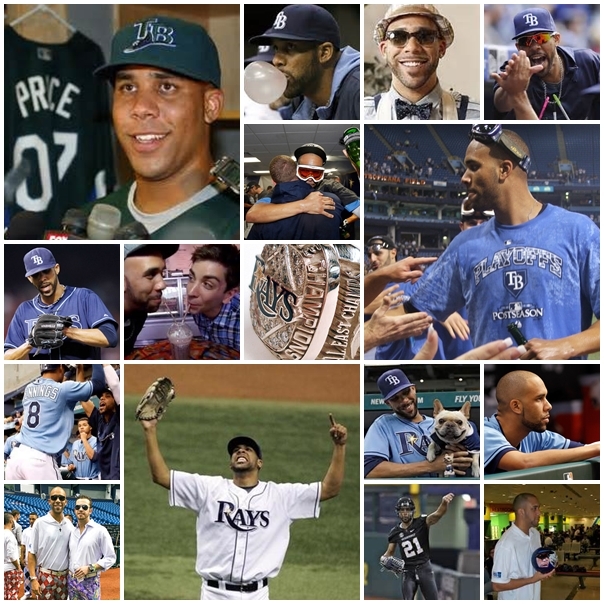 You have to think the recent deep valley that Tampa Bay Race ace David Price has found himself so far in April is an unfortunate blip in his otherwise stellar Rays career marks. 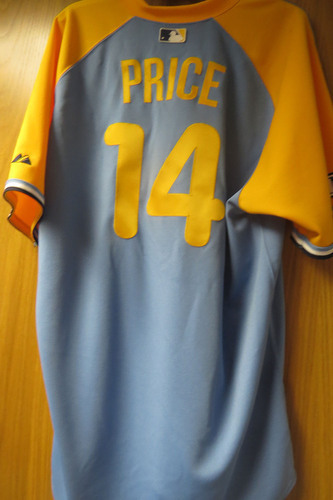 That fact Price is still winless after his 5th start of the season has some wondering if Price might indeed have more to worry about in late July than how much water to give super pooch Astro. With his recent slide backwards some chirps have been growing louder that Price could find himself on the opposite end of more than a few trade rumors come July, and possibly find himself throwing his late season starts in a National League park. 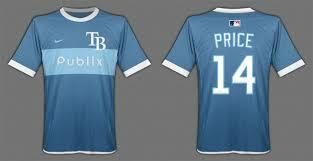 Of course it is too early to fully dive deep into such a move, but with his recent struggles and the younger members of the Rays rotation posting wins and numbers that have the Rays Front Office giddy for the future, the proposed arbitration salary mark for Price might make him expendable a lot earlier than any of us truly imagined. 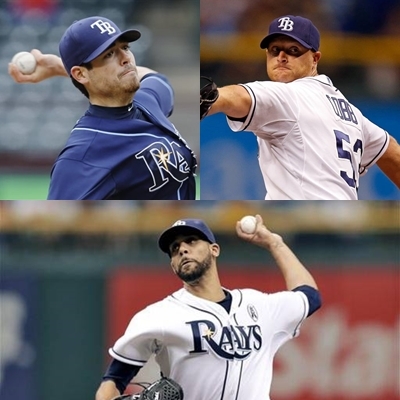 Because the Rays 4 and 5 starters Matt Moore and Alex Cobb have stepped up considerably during the time of Price’s unfortunate pitching streak and have miraculously contributed to 7 of the Rays total 10 victories. 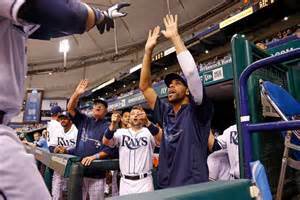 In all, the Rays starting staff has notched 9 of the Rays 10 wins, with Rays closer Fernando Rodney getting the other victory. 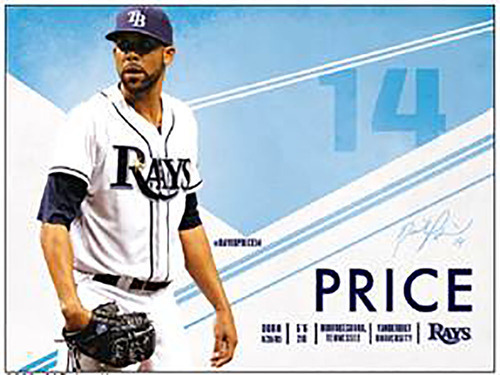 But with Moore and Cobb escalating their game, it kind of makes Price a little bit of extra weight especially since he is projected to be the Rays highest paid pitcher EVER possibly this Winter. 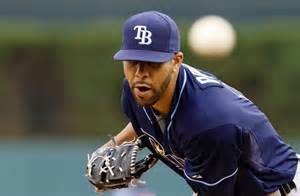 I truly expect that sooner rather than later the Rays will swap Moore into the 3 slot currently held by free agent signee Roberto Hernandez, and I would not be surprised if the Rays might also have Cobb tag-along right behind Moore and possibly take over the 4 spot with Hernandez descending to the 5th spot in the rotation. This is nothing personal to Hernandez, it is the pure fact Moore and Cobb have adjusted and matured to the point they would be solid at the 3 or 4 slots in the rotation for the rest of the season. 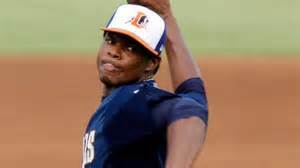 Combine all of this with the success a few of the Rays top hurlers have had at Triple-A Durham, and you could see a considerably young explosion of talent rising up in September to claim attention and possible spot for 2014. 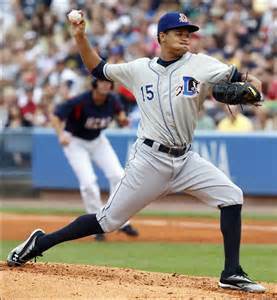 Chris Archer who most thought might push possibly push Hernandez to the Bullpen this Spring has a healthy 3-1 record after 5 starts and has struck out 25 hitters. Jake Odorizzi might sport only a 1-0 record, but he also has sent 30 International League hitters back to the bench in his 25 innings. 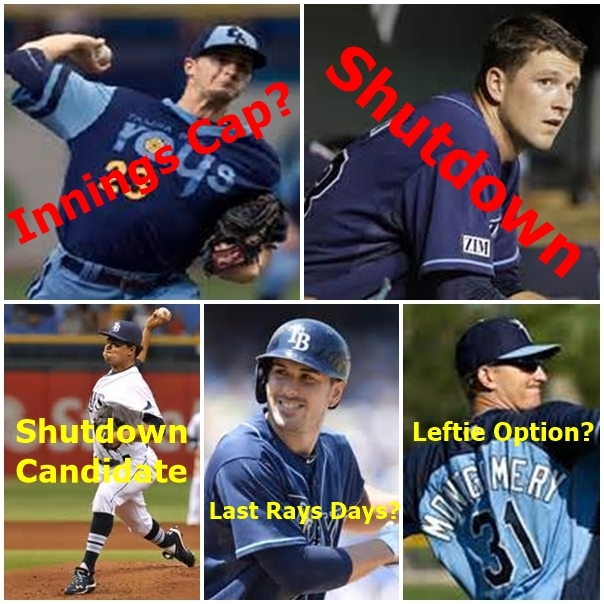 It is not like I want to see or propose the Rays look for alternatives to Price come late July, but more and more the quick maturation process displayed already by Jeremy Hellickson, Moore and Cobb might hasten the Rays Front Office’s conversation to possibly find a suitor for Price who could possibly bring in a slew of great prospects, possibly a top catching prospect and maybe even a young Third Baseman currently at the High-A level who could mature in the Rays system and be a fit if and when Evan Longoria possibly becomes a Designated Hitter or possibly a First Baseman as he grows into the gray parts of his recent Rays “lifetime” deal. 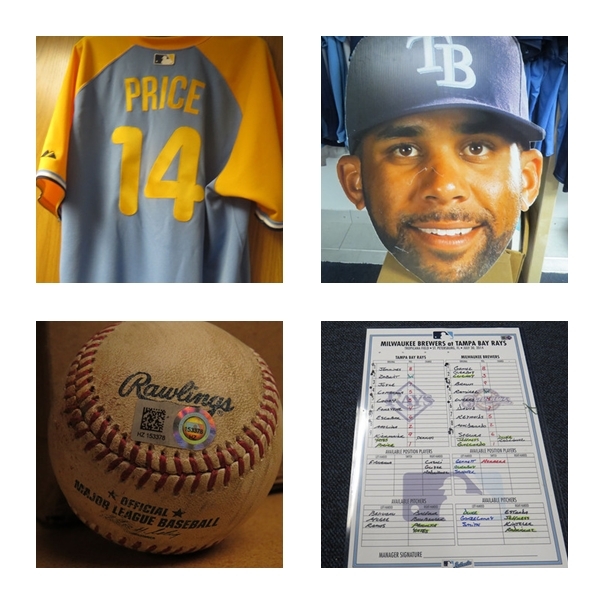 This is hard to write and even fathom since Price is such a likeable guy and has been more than generous with his time on and off the field to the Rays Republic. But as we all know, sometimes you have to make adjustments, let go of real talent to bring your own club’s level of competition to a higher level and bring in the right pieces to run the machine for several seasons. 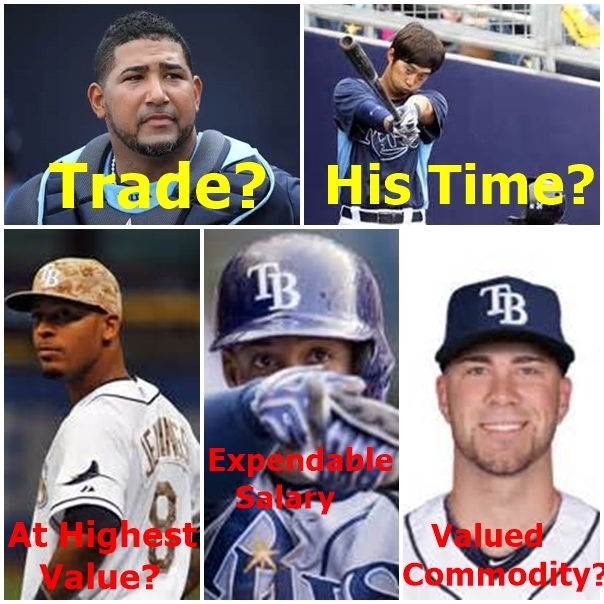 This scenario of Price possibly leaving the Rays earlier than anyone expected might have its origins in the pure fact the Rays young pitching talent has shown reason for the team to possibly even think the unthinkable and imagine this team without Price leading the rotation come August 1st. But sometimes when the talent level rises as high as it has in 2013, no one is guaranteed a spot on the 25-man roster, sometimes not even a proud and fan popular Ace.